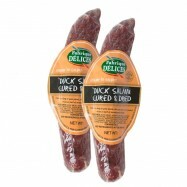 This rich, flavorful Spanish-style dry cured sausage is made the traditional Mediterranean way. 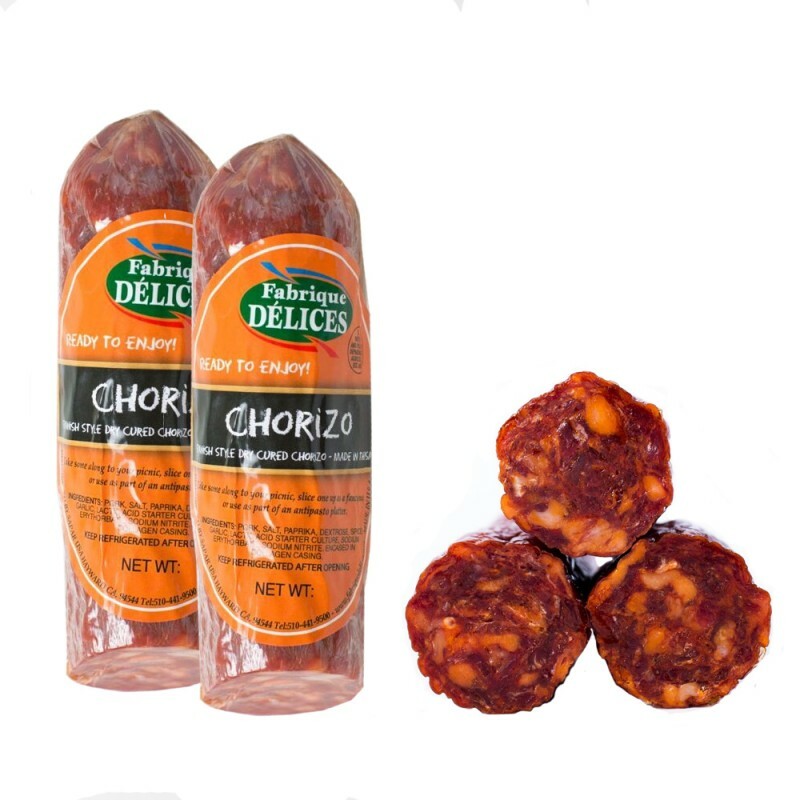 It is cured for 30 days and has an excellent balance of seasoning enhanced with smoked paprika. 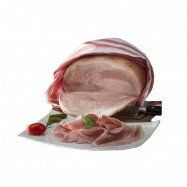 Tote some along on your picnic or simply sliced it up for a snack. 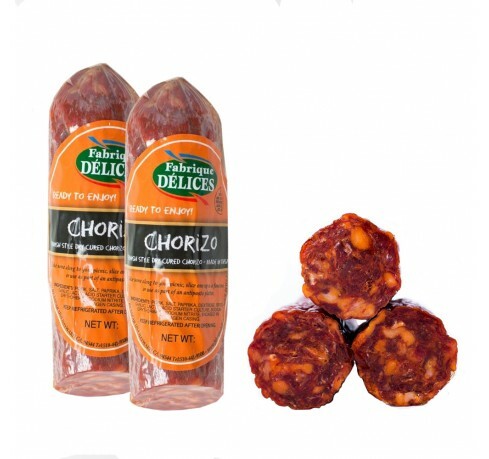 It makes a pleasant snack or appetizer and pairs well with a French baguette and with a Cotes du Rhone, Madiran or Cahors wine. Comes in 2 packs of 8oz each. Many of the Fabrique Delices products have been served at the White House.